Couplers vs Splitters, which is more efficient? The basic concept of a Distributed Antenna System (DAS) is to provide enhanced cellular reception throughout a specified area. Signal is either pushed to space via a small / femto cell or direct BTS feed from the wireless service provider or pulled into the space over the air using high-gain directional antennas, pre-amps and repeaters from neighboring cell sites. This signal then needs to be distributed over the area that needs to be covered. To accomplish this, a distributed antenna system is needed. There are 2 main methods for doing this. One is a passive system which consists of a list of components that includes a donor antenna, coaxial cables, active repeater, distribution antennas and passive devices like splitters and couplers. The other is an active system which may also use a donor antenna, coaxial cables, active repeater, master fiber unit, remote fiber unit, distribution antennas, cables and passive devices like splitters and couplers. No matter the design of your distributed antenna system (coaxial or fiber / passive or active) the last leg of your transmission will always be RF (wireless radio waves). With this in mind, it is crucial that balanced and even RF power distribution be achieved by the DAS to obtain optimal throughput speeds. This is going to be especially needed as the demand for bandwidth increases. High latency and low throughput speeds will be the result of poorly designed Distributed Antenna Systems. Fiber systems are not exempt. As noted previously, the last leg of transmission for all distribution systems is RF and if the distribution at this point in the DAS is not properly designed, the performance results will be poor and the fixes will be costly. Many system integrators use signal splitters to distribute signals downstream of a fiber remote unit, but unless each cable coming out of the signal splitter is of equal length, or the number of antennas fed by each port of the splitter be the exact same, then RF power distribution will be unbalanced and therefore negatively affect system performance. Even if you go to great lengths to get splitters evenly placed in the building so all the coax cable runs are the same length, and the number of antennas fed off each port of the splitter are exactly the same, this is inherently a very poor system design approach as the percentage of coax used is significantly more than a design that uses only directional couplers. In some cases as much as 50% more coax is needed which will negatively impact the performance of your DAS. It’s very important to understand that all coupler values are not the same or there little importance to where a specific coupler value is placed in the DAS. This could not be further from the truth and will starkly come to light as benchmark standards increase. Already there are many DAS systems in the small or “middle-prise” market that perform very poorly. Throughput speeds that cannot exceed 1-3 MBPS. Some system integrators brush this off as unimportant, but this will not fly as the demand for bandwidth increases. 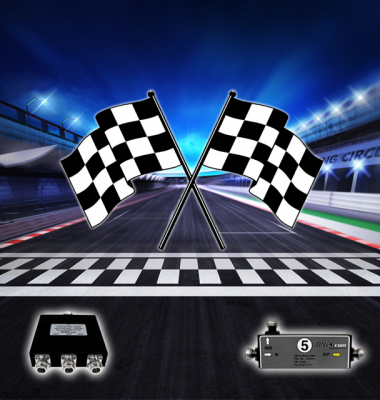 JDTECK has perfected RF power distribution using directional couplers over very large spaces. This is evident by how balanced RF power distribution is on all our DAS deployments which can number into hundreds of antennas. This can only be achieved by using a wide assortment of coupler values that are selectively placed in the DAS. Are your DAS designs optimized for maximum throughput? Let JDTECK help you future proof your DAS.